This WP has been the driver work package defining the implementation (WP3) strategy in order to set up the start-up of the project. assuring a high level of quality of the management of the entire action for ensuring, constantly along the project development, the transferability of its results and experiences. This WP foreseed the singling out of members by each project partner who will become part of the Management Board that had the main role of supervising the main actions of the project. It collaborated closely with the coordinator and the Quality Assurance Committee (see WP4 Quality Assurance). interaction with policy makers and ministries of education. The Quiet Time programme has been implemented in 3 countries (Portugal, Sweden and Nederland) involving in total 520 students, 350 teachers and 110 parents. These are all tangible outcomes. A full report of implementation activities is contained in the evaluation report. In addition, the outcomes are included in dissemination deliverables (see results section). monitoring risks, anticipating criticalities and designing solutions to potentially emerging problems. All the process of the Quality Assurance has been based on the fundamental document, prepared since the project beginning: the Quality Assurance Plan containing guidelines for ensuring a quality control process throughout the entire project. The evaluation has been involving setting up an evaluation framework for the project to provide validation of the Quiet Time/Transcendental Meditation approach. This Work package has been establishing to what extent the expected results were confirmed and has been evaluating the procedures of implementation and the experiences of the participants, establishing an handbook for policy makers and a manual of best practices containing recommendations to enable policy makers to confidently apply the programme in any school or university. summative evaluation of the factors critical to the success (including enablers and barriers). 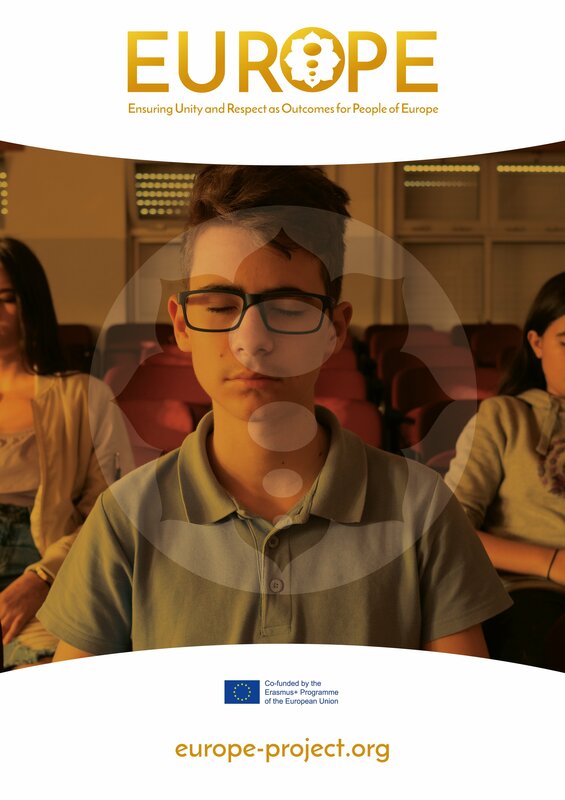 The Quiet Time/Transcendental Meditation programme was implemented (see WP3 –Implementation) in in schools in 3 different countries simultaneously (Portugal, Sweden and the Netherlands) based upon a commonly established protocol, which has been was the same for all cohorts. The results have been evaluated by the University partners at a national/regional/local level collectively with all partners involved in the implementation. creating the visibility for the achievement of a sustainable impact on the education systems of the partners and in the extension on the education systems throughout Europe. Different target groups: the Quiet Time/Transcendental Meditation programme is in fact adaptable and suitable for a transectorial intervention since the benefits are applicable to all levels of education, from ECEC to secondary and higher education, including all students, teachers, directors and staff and to at-risk population, including migrants and prisoners. Different geographical areas: The EUROPE project aims to reach schools in all of Europe. Transcendental Meditation organizations in fact being present in all European countries, are available and capable of supporting this goal.